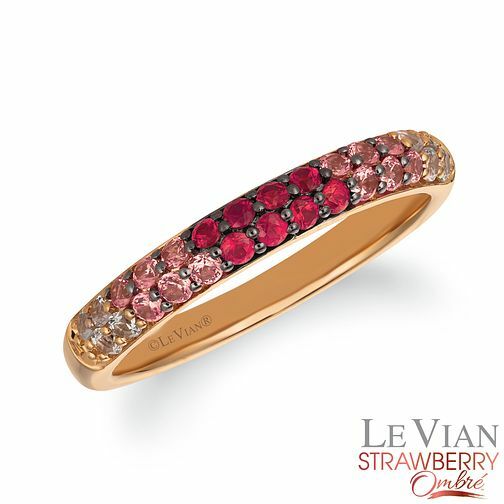 Le Vian creates a beautiful Ombre ring that revels in creating passionate tones. Opulent rubies form the centrepiece that gradually increase in translucence creating a delicate sense of movement. The Le Vian name has been associated with the world's finest jewellery since the 15th century and is now worn by Hollywood celebrities and the glitterati.